While there are still a few hours of sun to be enjoyed outside, fashion and product design already presents novelties for the Autumn and Winter seasons of 2014/2015. There are the newest products of home, furniture and gifts design on the Tendence 2014 for example. The expositors of Europe and the world will present which new trends and styles await us in the following season from the 30th fo August until the 2nd of September in Frankfurt am Main. The spoga+gafa becomes the meeting place of gardening and it takes place from the 31st of August until the 2nd of September in Cologne as well. New inspirations and fresh impulses of gardening are to be presented in this late summer days. Trends for the garden season of 2015 are being presented in here. The IFA is the worldwide leading fair for consumer electronics and home appliances. The international funk exposition takes place in Berlin this year, from the 5th until the 10th of September. The Maison & Objet opens its gates from Friday, the 5th of September until Tuesday, the 9th of September of 2014. There you will see decoration products, gifts and dinnerware articles as well as a focus on interior furnishing in Paris. Everything on the Orgatec in Cologne is about “modern working worlds” from the 21st to the 25th of October 2014 in Cologne. The Orgatec is renowned for its focus on how the world works. We do also present novelties on our pages from September. 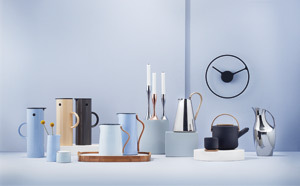 Brands such as Eva Solo, Stelton, Rosendahl, Iittala or Georg Jensen for example, they promise surprising novelties. The main theme in this Autumn and Winter is „new comfort“. Home has always been a place of retreat. 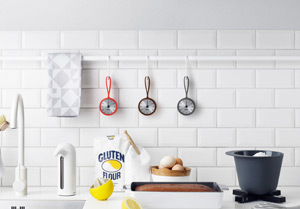 This Autumn will rise comfort at home with natural materials such as wood, stoneware or wool. When it comes to furnishing elements and decoration objects, there will be warm metals such as copper, brass or cast iron. The “new comfort” will be represented by the comeback of the good old wing chair or the sofa with side elements brought forward. Besides furnishing accessories and furniture which spreads an atmosphere of comfort because of their shape, pastel tones are also trendy now. 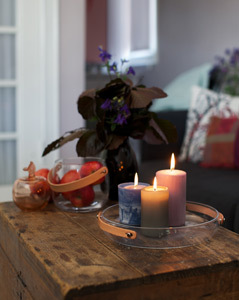 Light blue, rose or mint accompany us as so-called smoky pastels o winter pastels through the cold months of the year.